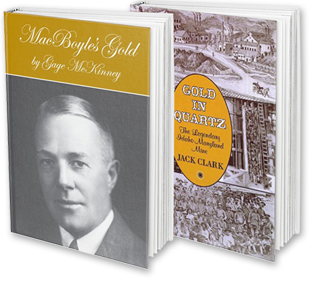 In 1926, Errol MacBoyle took over management of the I-M Mine and, as President and General Manager, led the mine into its most successful period of production. A graph of production from the Idaho and Brunswick Mines from 1926 to 1955 is displayed in Figure 1. 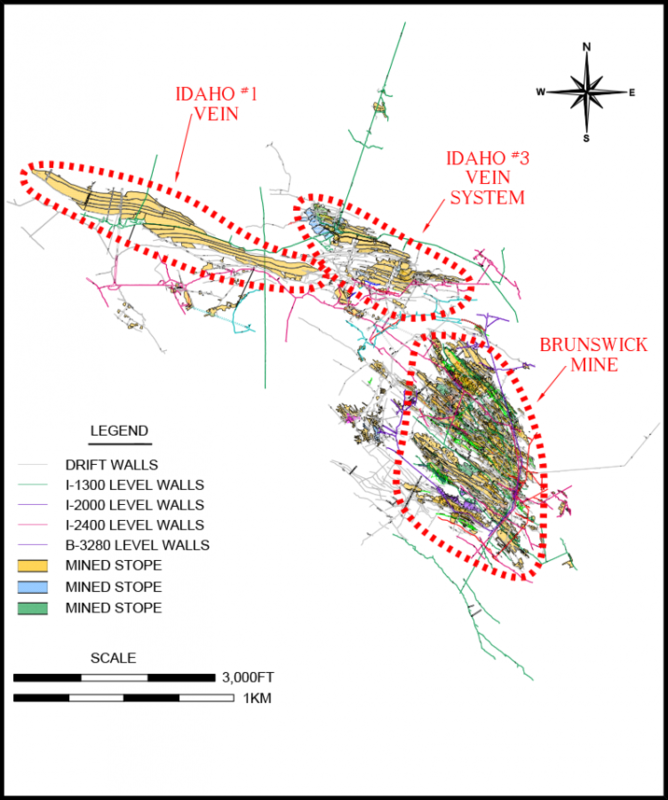 The historic mine workings of the Idaho-Maryland Mine are displayed in Figure 2. Idaho Maryland Mines Co. Financial Statements (1926-1932,1934-1942). Idaho Maryland Mines Co. Mill Reports (1933-1942, 1946-1950). Idaho Maryland Mines Co. Final Distributions Sheets (1944,1945). Idaho Maryland Mines Co. Breakdown of Income and Expenses (1946-1949). Idaho Maryland Mines Co. Cost Data & Cost Sheets from (1946-1949). Idaho Maryland Mines Corp. Lode Mine Production Report to US Bureau of Mines (1944-1945,1947-1948,1950,1952,1953,1955). Lindgren, Waldemar. The Gold Quartz Veins of Nevada City and Grass Valley Districts, California (1896). Hamilton, Fletcher. Mines and Mineral Resources of Nevada County (1918). Clark, Jack. Gold in Quartz: The Legendary Idaho Maryland Mine (2005). Detailed records of metallurgical recoveries from the I-M Mine prior to 1924 are not available. From 1924-1930 gold recoveries ranged from 72% to 89% using a similar process to that used in the years prior to 1924. Lindgren (1896) estimated that gold mills in the Grass Valley mines averaged 75% metallurgical gold recovery but noted that the I-M Mine was unique in that it treated the tailings from its concentrates by secondary processes. The Company has assumed a metallurgical recovery of 85% for the pre-1924 processing at the I-M Mine which it believes is the best estimate possible given the information available.